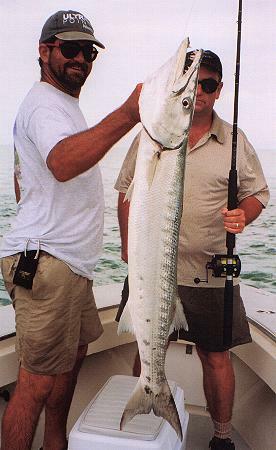 Jason Brand with a big barracuda. 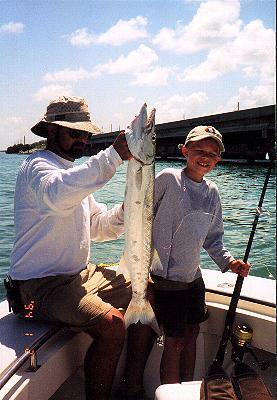 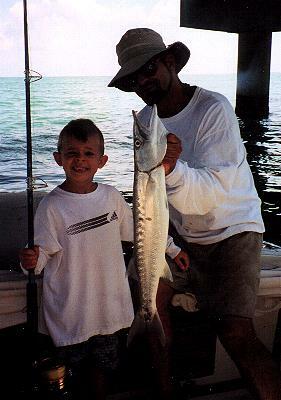 Ken Brand and son, Jason, have been down a couple times and have had some good tarpon fishing. 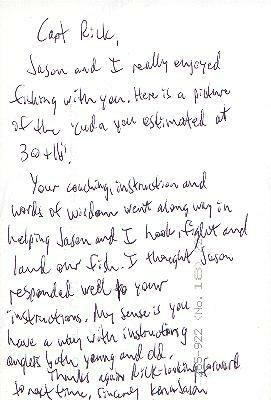 Thanks Ken for such a nice and valuable comment. 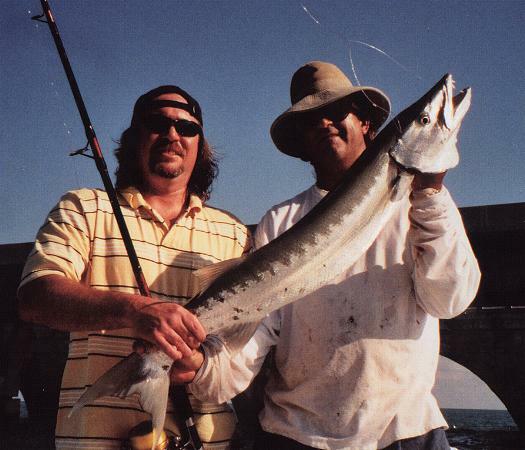 Eddie and Bennitt Cutrera catch a couple nice barracudas. 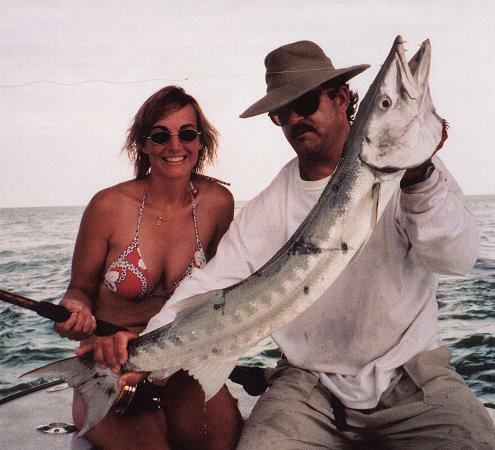 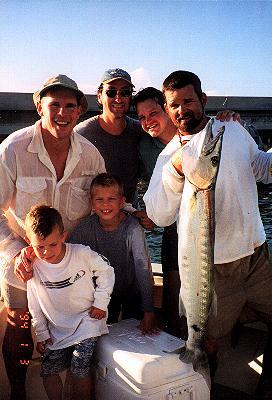 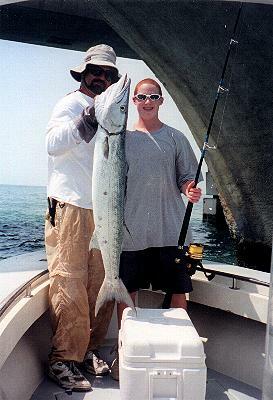 I catch a big barracuda on fly with my visiting family. 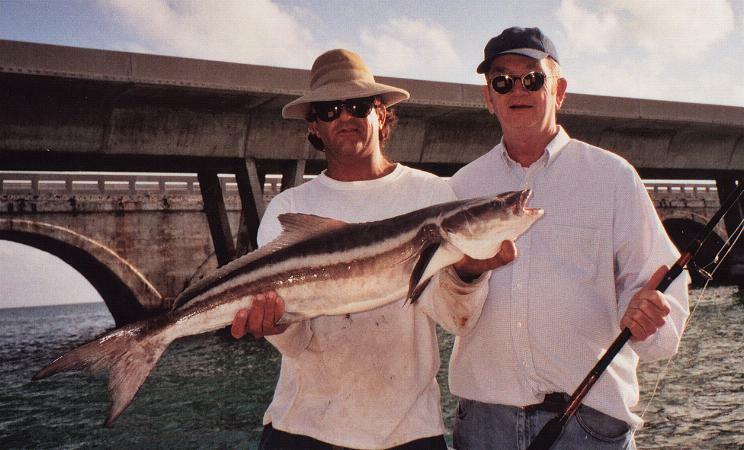 A keeper cobia we caught while tarpon fishing. 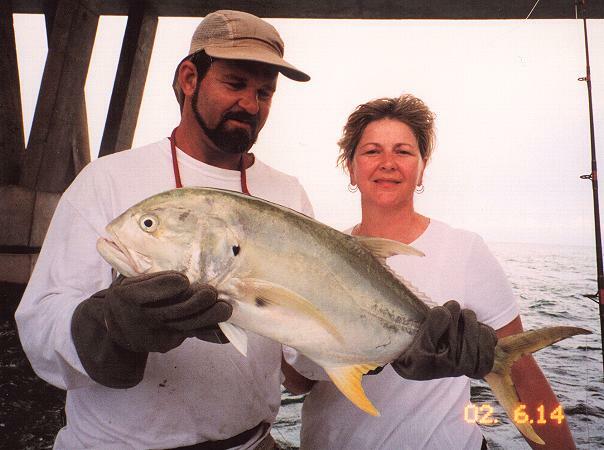 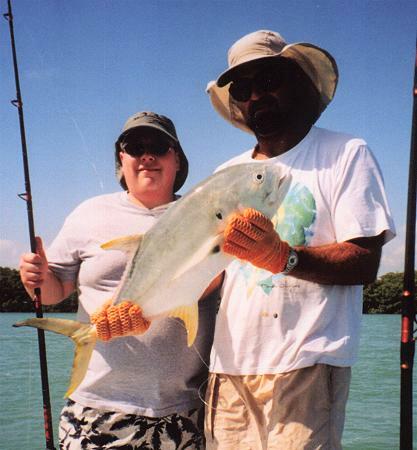 That is a pretty big jack crevalle. 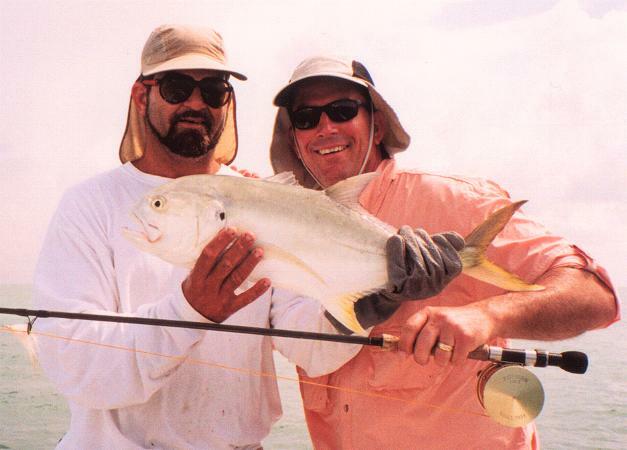 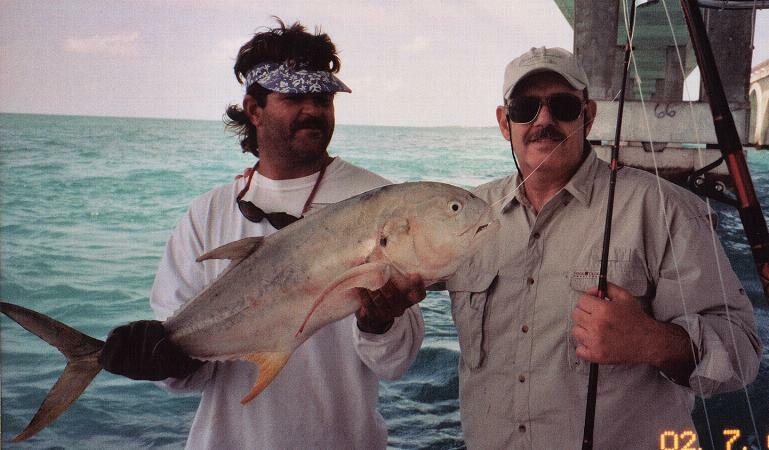 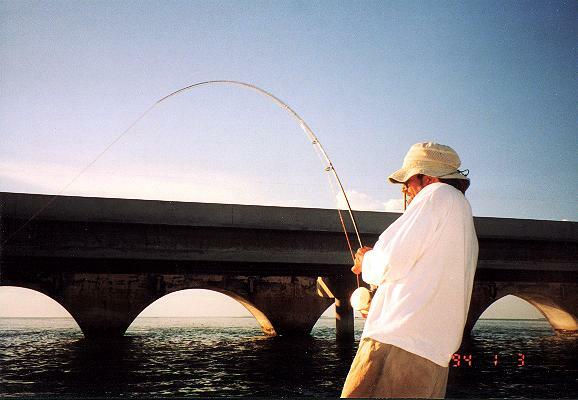 We can take the time to catch these jack crevalles on fly rod too. 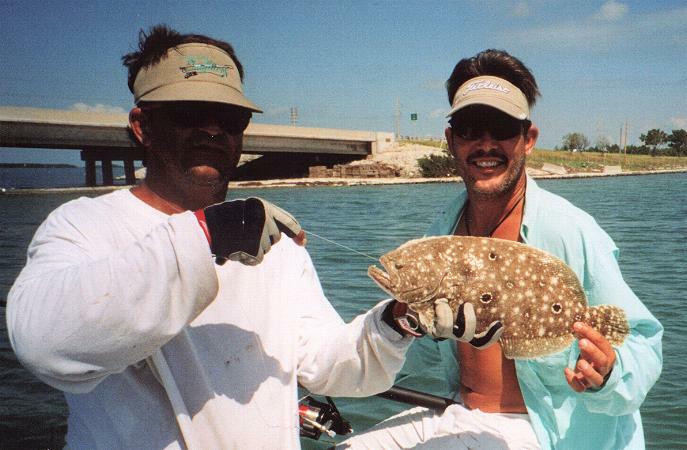 Blake Bartnick catches the first keeper size flounder we have ever caught down here in Islamorada.